Dumb name, I know! That’s why it’s a temporary one for the book I have started to write. I don’t know if I should call it a book or not. Yup, I’m still drowning in self doubt as always. 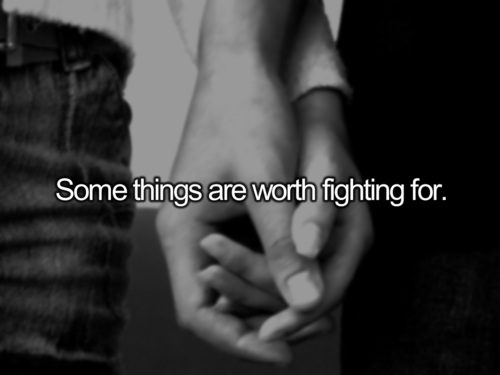 But this is an internal fight. I keep doubting myself and yet I keep doing whatever stuff I doubt myself in. Seems I’m not the only one who keeps doubting themselves. It seems to be a disease in my family. I’m not sure about my elder brother but my little brother and little sister keep doubting themselves. I know they can do the stuff they think they can’t do but they don’t know it. My case is a little similar but a little different too. Deep down, I damn well know that there is nothing that I can’t do, that I put my mind to but doubting myself throughout the journey and self torment is kind of my thing. I hate it but I do it anyway. I’ve been trying to think for an appropriate title for my novel but as of yet, I’ve failed miserably, hence this crappy name. I’ve updated the second chapter but it’s a short one since all my attempts at researching an area for the setting of my story have further confused me. I want my setting to be some part of England but I’ve never been outside of my own country so it’s hard to familiarize myself with the stuff of a foreign country through virtual aids only. Another hindrance is that the story-line has been teasing, tormenting and keeping me awake at nights but I have not been able to think things through. I was just in a hurry to get things out of me as keeping them inside is a burden sometimes. The result- I’ve not thought about the details inside the plot. Which means that I will have to make up the details as I move along but move things in the direction that my plot wants me to take. I’m not gonna back down though. I’ve started too many projects in the past and left them mid-way, but not this one. I’m going to force myself to complete this one. No matter how crappy the story goes. No matter how much of a failure it proves to be( or not). Because, the monsters inside my head won’t rest until I have shot every single one of them. *Fighting depression isn’t easy. I came to know it the hard way! Tears are even harder to stop when they want to get out. I know it because it’s my job to know. And it’s something I undergo, on most normal days now. A psychologist, fighting Depression, have you ever heard that before? But Psychologists are people too, very much alive, sensitive to environment and emotions. Psychologists get depressed too. I know because I’m going through it right now. *I know that Allah is my biggest help against everything negative I feel. He is the only sincere friend who will stay by my side even if the whole world decides to turn against me. I trust Him to help. *I know that bad times will go away as swiftly as they came. And that I’m strong enough to wait a little longer to get better. 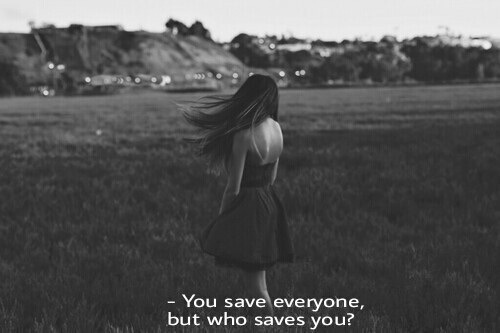 I deserve as much to be saved as the next person. Nobody can save me except ME, and I’m on it already! *I know that “She” is still infatuated with him and he doesn’t deserve her. But she still asks for him when it rains,when she prays, when she’s sad and needs a hug, when her demons become bigger than the ones she’s capable to fight-when she needs her knight in shiny armor, during her journeys, at night, in the morning…..
*I know, running or playing with the kids helps relieve stress and so does singing on the top of my lungs. I need to do that more often. >closing my eyes and thinking about things that make me happy. >teaching Qur’an to my students. >Oh, the rare chances of practicing my driving. >knowing that I still have some sincere people in my life. >planning for a friends reunion…. *I have know it to be true….. that if you want to change your situation, nature helps you to do it. My environment helped me a LOT. And the thought that “I’m stronger than my problems,” and the ayah from Surah Baqarah(2:285) that says that Allah doesn’t put more burden on His servants than they can bear, these two things kept me from crumbling down and shut down my self-destruct mode that depression switched on. * When I started writing this post I was under a full blown depressive episode and Migraine attack. And as I finish it today(after a break of almost a week or perhaps more), I am more stable and I haven’t had migraine since yesterday. *I know for sure,that if depression couldn’t break me,and it did try;it can’t break anyone. We do that to ourselves-all that breaking and collapsing. I know I love myself and I love to be happy,so I try to be. Being positive is the key. My depression made me more determined and stubborn. Instead of breaking me, it made me even stronger! *I know, if I can manage to defeat it, so can anyone and everyone else who is suffering from this plague! Can you blame me,for choosing this life? Writer of supernatural teen novels Spellbound and Spellcaster and the upcoming Dark World trilogy, pop culture vulture and Internet junkie.